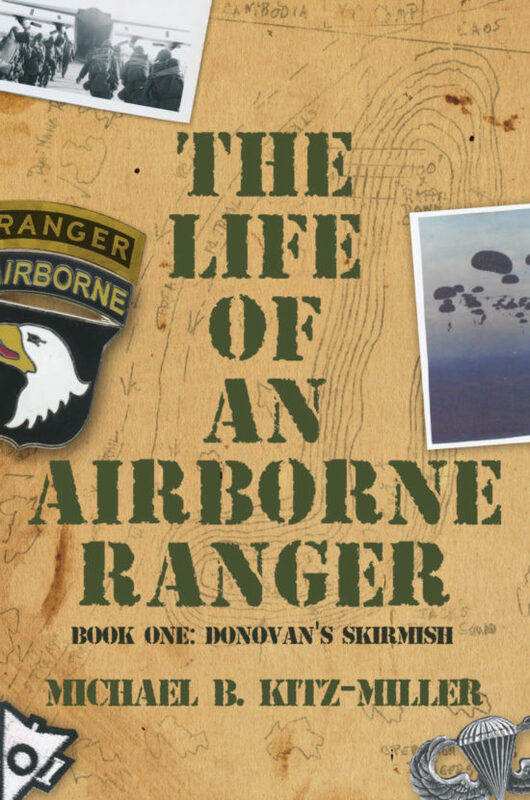 The first in a trilogy, The Life of an Airborne Ranger: Donovan’s Skirmish follows Jack Donovan through the beginning of a storied and valorous career. About to be drafted, Jack enlists in the United States Army and works his way into the famed 101st Airborne. His military career takes off amid the turmoil of the Vietnam War, but his second tour in Vietnam changes everything when company commander Orin Jensen chooses a lousy bivouac area. While Jack’s squad is returning from a supply depot his company is ambushed by a large Viet Cong company. His heroic actions result in multiple injuries and he is awarded the Medal of Honor. While on furlough, Jack enrolls in college and meets Mary Clarke. Jack graduates with honors and is commissioned as a second lieutenant. He and Mary Clarke marry, and Jack continues his airborne Ranger life as an officer and a gentleman. Michael B. Kitz-Miller was born on the Eastern Shore of Maryland and moved six times throughout western Maryland, and central Pennsylvania by the time he was eleven. His father quit Montgomery Wards as a manager and moved the family back to Salisbury, Maryland, when Michael entered the fifth grade. After graduating from high school, he attended the teacher’s college in Salisbury for one year before transferring to Gettysburg College on scholarships, grants and loans as a member of the college’s famous a capella choir that toured annually. Lack of funds forced him to withdraw in his senior year, and with the draft looming he enlisted in the Army and left after three distinguished years with numerous commendations as a sergeant E-5 paratrooper and Recondo with the famous 101st Airborne Division. He then completed a bachelor of music degree from the University of Maryland, College Park, Maryland. Michael then spent eleven years with the Rand McNally College Publishing Company, leaving as the western sales manager based in Northern California. He has worked in sales and management with such companies as ITT Information Systems, Dictaphone Corporation, AST Research, the Branch Group and AIG. He is a 3M certified fiber optics technician and held both real estate and insurance licenses. He has published two books – Your Basic Peddler, a non-fiction work on sales, marketing and sales management in 2007 and Paratrooper: My life with the 101st Airborne Division, a memoir of his time with the famous Screaming Eagles that included his parachuting into Iran during the little-known Operation Delawar in 1964. Additionally, the author has published numerous articles in military and association magazines on miscellaneous military topics regarding training exercises, training schools such as Airborne and Recondo School, and on topics such as just war theory and our current rules of engagement. He is currently retired, living with his wife, Stephanie K. Staab, on the Eastern Shore of Maryland.